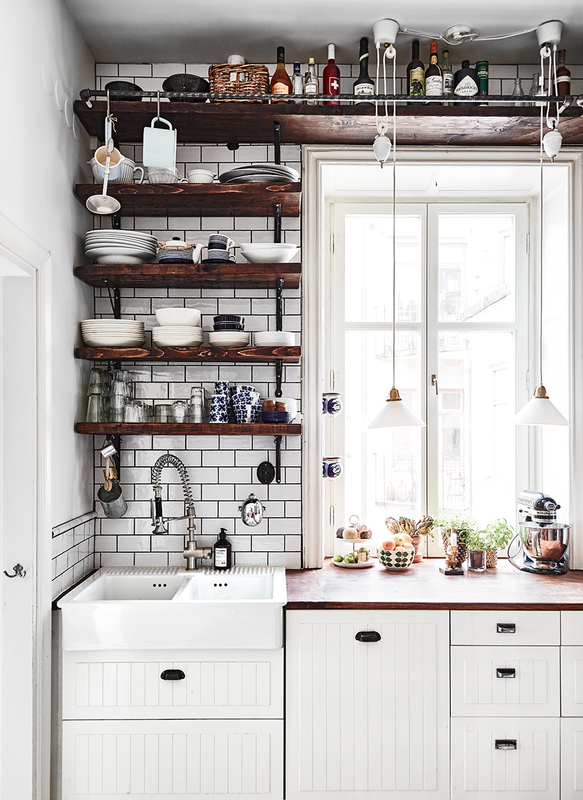 This lovely apartment is located in the 100 years old building in Stockholm and it is owned by a photographers Kalle Gustafsson and Sara Bille. 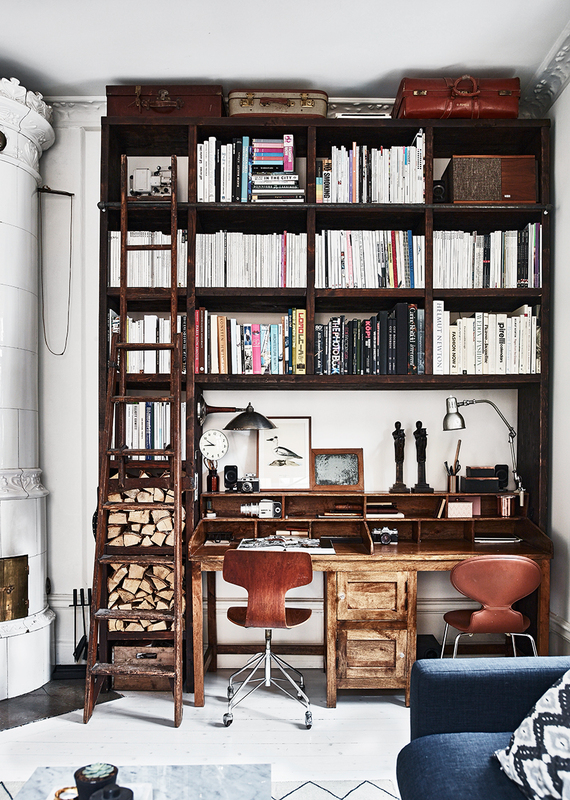 There is a great number of vintage furniture and decor and a very cozy combination of materials and colors. 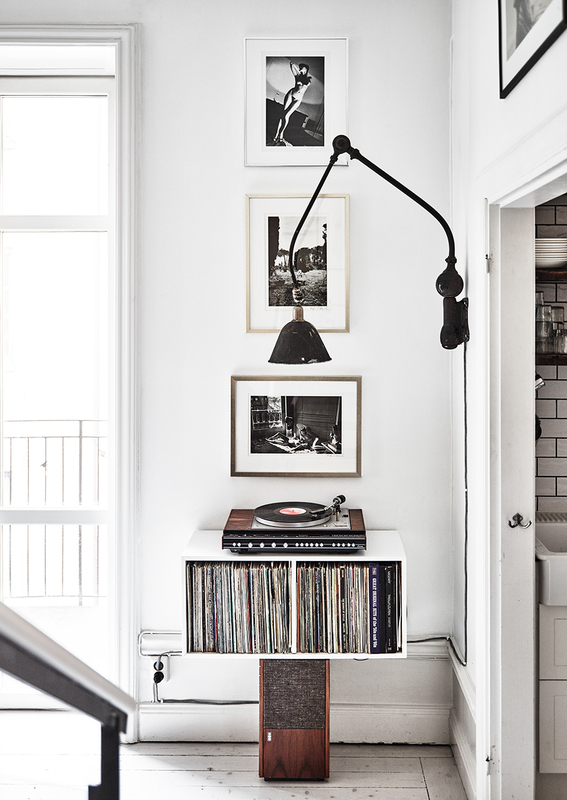 I really like the combination of white walls and floor with a dark wood here. 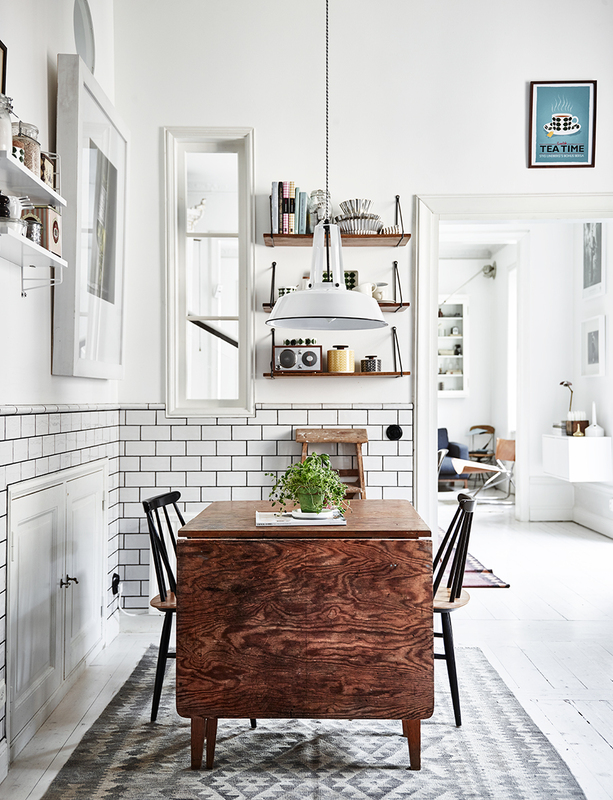 As the both owners are photographers, walls are mainly decorated with photos but there are also some nice String shelves on the walls and a huge vintage bookshelf located in the workspace area which looks totally amazing. 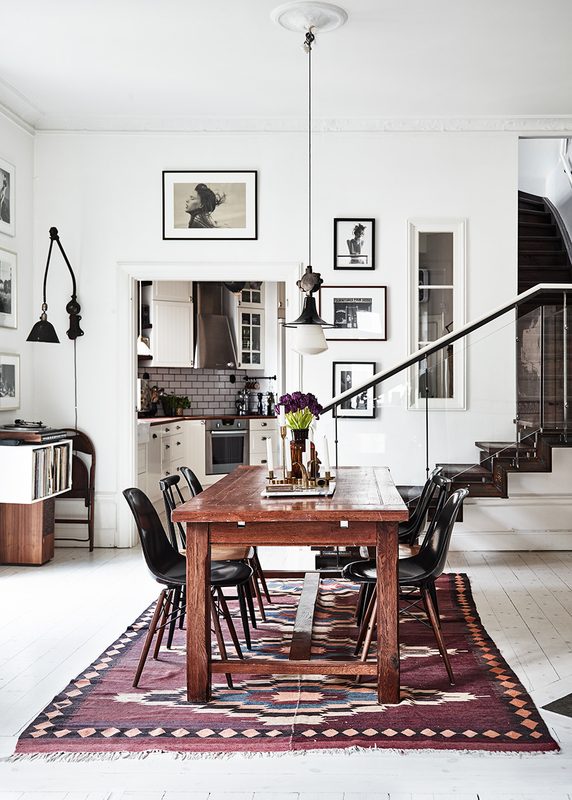 I also like the dining place where a beautiful kilim rug is used along with the black Eames chairs. 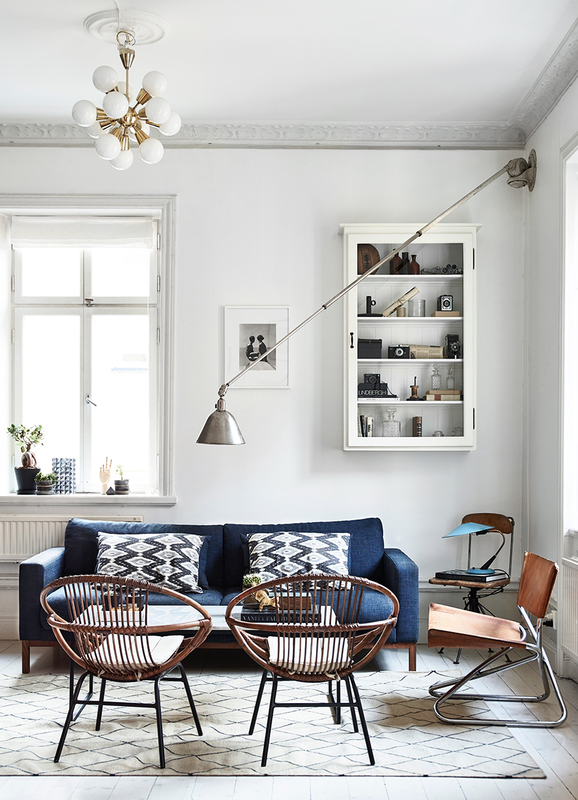 In the living room, there is a blue sofa which is quite a contrast here and a nice golden sputnik light (which I believe is old Czechoslovakian design and I have a smaller versions at home too ). It also seems like that Kalle and Sara are fans of Stig Lindbergs Bersa design so you can see a lot of them around and also my Bersa print here!